Buy Fresh. Buy Local. Shop your Farmers' Market! Enjoy Live Music from local bands! 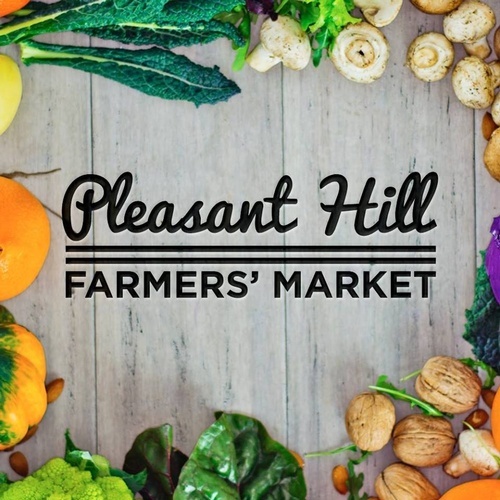 Come join us and support your local farmers' at the Pleasant Hill Farmers' Market every Tuesday through October 9th. The season will feature live music, hot food, beer & wine booth, and games & activities for families on the lawn at City Hall. If you would like to set up your own booth to promote your business at the Farmers' Market, download an application here. If you would like to become a sponsor or would like to set up your own booth at this year's Farmers' Market, please contact the Pleasant Hill Chamber.